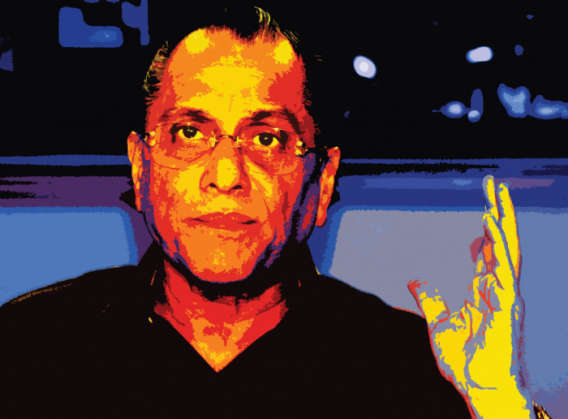 The SC-appointed committee probing the IPL-6 scandal found BCCI chief Jagmohan Dalmiya to be incoherent. Dalmiya had to be accompanied by son Abhishek, and had trouble understanding questions. Panel head Justice Lodha wondered who was actually running the BCCI. While BCCI looks like an organisation, it\'s actually a society with its own rules. It can never become a company since that would leave it open to audits. As a society, it is not subject to tax laws. There is no semblance of transparency in its functioning. Dalmiya has a ceremonial role, while secretary Anurag Thakur runs the show. Thakur is a BJP MP and has the backing of the ruling establishment. If you think Jagmohan Dalmiya is incoherent, you should read the press releases the Board of Control for Cricket in India (BCCI) sends out. 'Incoherent' is a new word. The adjectives originally used for the BCCI were 'arrogant', or 'contemptuous'. Then came words like 'conniving', 'corrupt' and 'criminal', as the Indian Premier League and sundry characters appeared on the horizon. Dalmiya came back into the limelight on 3 March this year, when he was re-elected BCCI president unopposed, after the Honourable Supreme Court had ruled that N Srinivasan could not run for the post. It had also constituted a three-member committee, led by the former Chief Justice of India, RM Lodha (Ashok Bhan and RM Raveendran are the other members) to fix punishment for Srinivasan's son-in-law and Chennai Super Kings office-bearer Gurunath Meiyappan and Rajasthan Royals co-owner Raj Kundra for betting in IPL 2013. As part of the same investigations, the committee was tasked to get recommendations on how to improve the governance of the BCCI. When this committee met Dalmiya in Kolkata on Tuesday, they were in for a rude surprise. The BCCI big man was a shadow of his former self. He had to be accompanied by his son Abhishek, because of ill health. Worse, it was found, thereafter, that Dalmiya actually could not understand the questions put to him. His answers were found "incoherent and incomprehensible" by Lodha and the others. This led to a question from Lodha - if Dalmiya isn't up to it physically, who exactly was running the BCCI? Unfortunately, there is no simple answer to this. The BCCI is a multi-headed hydra, which gives the impression of being an organisation with a set panel, including a president, secretary, joint secretaries and the works (all honorary of course) - everything needed to create the illusion of sanctity. BCCI used to operate out of little rooms near the Wankhede Stadium in Mumbai before it found opulence in the Cricket Association of Bengal offices at Eden Gardens in Kolkata, as well as the Punjab Cricket Association offices in Mohali, as Dalmiya and IS Bindra made it a game of glamour and money. It is amazing that this sports body, as insignificant as any other in India till the mid-1980s, is suddenly in focus almost as much as Parliament and, at times, even more so. But it's not a company and will never will be, since that would leave it open to audits. It's a society, with its own set of rules, which has been afloat against the tide, and flourishing, for decades. And we're talking serious money. BCCI's revenue, in 2011-12, was nearly Rs 5,300 crore. This figure only goes up as the rate for the television rights skyrockets every year. BCCI makes money from both broadcasters and corporates through a barrage of very complicated deals. As a society, it is impervious to any kind of administrative intervention, as well as tax laws that affect all registered companies. Plus, it has always had a battery of legal and business minds, including current NDA ministers, as office-bearers, keeping it away from most financial investigations. The only time BCCI actually saw trouble was when something illegal, or immoral, came out into the open. In other words, match-fixing and betting. Even then, those indicted were largely exonerated or reinstated, and one even went on to become a Member of Parliament. Things were never really transparent in the BCCI. Its explanations about any issue and situation were short and terse. Most of the time, they didn't actually explain much. It was a 'take it or leave it' kind of one-liner. And hacks had little option but take it - after all, it was the only sport where India ever won anything. But that was limited to the information that was sent to the media and people. When it came to getting its share of the cake, or anyone else's cake for that matter, there was complete coherence. Money talks, and boy, does it have its own clarity of communication. That clarity included Dalmiya. For those who have interacted with him, it would indeed verge on sadness to see him being incoherent and/or unwell, as he takes on the Supreme Court committee. Dalmiya was, in fact, BCCI's Dr Frankenstein. He created the money-making monster everyone now wants to ride - a monster which creates money as food for itself and used to bend rules to within an inch of breaking point before stepping back. Dalmiya was the astute mind, the adventurist who realised the net worth of the BCCI way before anyone else, and the man who made cricket an industry in India. But he was also smart enough to remain humble, at least on the face of it, keeping the horse trading, the dark doings and dubious finances as far back into the dungeons as possible. And it worked for all - BCCI, businessmen, politicians and pretenders. His successors, beginning with N Srinivasan and including Lalit Modi, were the nouveau riche brats, tossing their money and arrogance around and challenging everyone to a duel of money tossing. Modi is a classic case. He too, make no mistake, is a genius in making money for all. His creation, the IPL, pumped money into the BCCI coffers. The hangers-on latched on to him like leeches, feeding into the largesse, in cash and kind, as the IPL parties became folklore and people whose vision was limited to small gains suddenly found themselves floundering in immense wealth and glamour. But now the adjective was 'arrogant'. Modi thought, and even in his worst nightmares, still thinks, that he is untouchable. He claims to have so much dirt on every politician worth his salt in India that indicting him would lead to an avalanche of skeletons tumbling out of assorted cupboards - something neither the government, nor the opposition, would want. The next front man was Srinivasan, a tough cookie himself. The front man has to be tough. BCCI was always a source for assorted range of emotions - from wonder to contempt to anger to cynicism. So the big man had to stand and stem the tide with strong hands and a stronger mind. But no one is stronger than family, and sons-in-law can, well, bend most. Srinivasan would have escaped too, but with too much money and power comes too much arrogance. What he and Modi collectively forgot was that there was no greater bully in the market than the government, or the law. They made the mistake of cocking a snook at the government, so the BCCI dropped them both like hot potatoes and ran promptly back to Dalmiya, whose reputation was more about efficiency than arrogance (while making the same amount of money). But there is one other factor BCCI thought it was immune to - time. Jagmohan Dalmiya isn't the same man he used to be physically. He may have had the will to fight when he was returned to the BCCI chair, but a lot of personal battles over the years, and the strain of handling the BCCI, have taken their toll. His family isn't helping either, with the next generation Dalmiya, his 15-year-old grandson, getting into trouble with traffic cops in Kolkata recently. Dalmiya was supposed to be the new front man, a man with credentials and a little more integrity than Srinivasan, Modi, or their cohorts. But all Dalmiya was supposed to do was take a salute at formal occasions while the young gun, secretary Anurag Thakur, took up the cudgels of the real functioning of BCCI. Thakur is blessed with the ruling party's approval and support, so it was inevitable that he would, some day, be the new don of what is actually quite the underworld, with a Cosa Nostra code that would make Mario Puzo seek a new profession. The realm of BCCI was never an easy world. It actually drew strength from India's on-field showing, from the time of the 1983 World Cup win, and began to become the big entity it is now, threatening to become unmanageable with an assorted combination of misdeeds and misconceptions. But it will survive, since it runs on money and the lifeblood of political influence and involvement. Regardless of how corrupt it gets, the BCCI will always get up with a shake and a smirk. The only difference is that the smile will be a little more discreet now, like the one that Dalmiya always wore - before the vagaries of age and time cackled, a laughter louder than any.